For many of us in the UK, the way to get hold of Baofeng radios has traditionally been via the various eBay stores in the far East. You can get the UV-B6 via eBay at a decent price, but we picked up ours from a UK seller on Amazon – No need to wait weeks for airmail from Hong Kong… ours arrived in two days. So far, the Baofeng has proven itself to be a decent budget radio. It feels well constructed, and is a comfy hand-hold. The supplied dual band antenna is adequate for the job, but results can be improved by swapping this out, or connecting to car / loft / rooftop antenna. 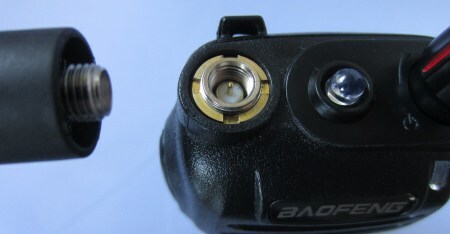 Note that the SMA antenna connector gender is different to that of the previous Baofeng models, meaning that connecting to other aerials isn’t as straightforward. For those on a budget, or looking for a spare handheld, this is well worth consideration, especially given the £30 price tag. In summary, we’re impressed with this little radio. 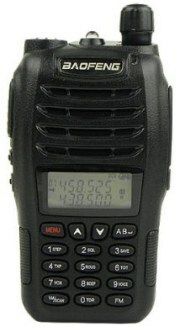 It’s solidly made, seems to behave well, and does a better job than our previous Baofeng models. As you’ll see from our video review, the box contains the radio, the 1800mAh battery, a belt clip, docking station, mains charger (with UK adapter), aerial, hand strap and a manual. No headset/earpiece was supplied, despite being shown on the Amazon listing. Following your review of the UV-B6 I bought one as a first radio (Using the logic…If I break it it’s not a great loss). 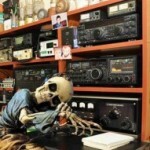 So, first of all thank you for the video which is honest and accurate and, I like the radio! I also purchased the PC software and lead. If you are able to assist further with guidance on how to programme the repeaters into the radio and, how to use the PC method I would be really interested in seeing your presentation. I have to confess that I am not very good with technology and any help is gratefully received. Hi Phil. Guide is available here: https://www.essexham.co.uk/news/programming-gb3da-repeater-into-the-baofeng-uv-b6.html – I hope it’s of use. Ooop’s sorry forgot to include my new callsign which is M6DEQ (just 2 weeks ago). I would appreciate a programming guide/walk through for the UV-6B. Hi Mike. As requested, I’ve created a guide, and it’s here: https://www.essexham.co.uk/news/programming-gb3da-repeater-into-the-baofeng-uv-b6.html … please let me know if there’s anything I’ve missed or got wrong! Good to chat on the net tonight. For £30, you certainly don’t get quality with these radios, but the three Baofengs I’ve had have all been perfectly serviceable, and I’ve generally been happy. Very good as second rigs, or for those new to the hobby, but if budget can stretch to a Yaesu / iCom type handheld, then the more well-known makes shine through. I was wondering if it is possible to unlock the uv-5r to enable me to listen to 156.000MHz and if so, can this be done with the cable and software? 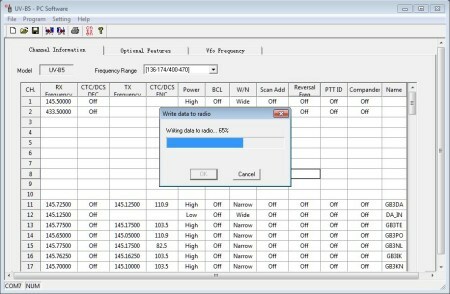 By default, the UV-5R can receive (and transmit) between 136MHz to 175MHz – No unlocking required. I noticed a difference in reception in VFO mode and memory mode. In vfo there is a greater sensitivity in receiving and audio volume gain. It also happens in your radio? It would be a defect, a reset would solve? I am also wish to know the correct size screws for the belt clip on the UV-B6. Have you had any answer, Lorne? UPDATE: — I think the screws are M2.5 and 6.5mm long…at least i hope they are as I have ordered 100 of them! A Dutch ham contacted me and said these were the measurements so let us hope he is right and correct. I will confirm as soon as I can. In the handbook of this handheld there is no advice on how to delete a stored channel / frequency, I found out by shear accident, it seems once you have the set in channel mode, use the up/down buttons to select the stored frequency / channel then press and hold the FM button. The other down side is, if you sit the set on its charger whilst still switched on, the FM button gets activated and you loose that frequency you stored, Also I might add, do not try and plug the speaker mike in when the set is on, this seems to hold the set in the TX mode. Some useful but scary observations/advice on the ‘quirky’ UV-B6, Ken. I love the Baofeng radios and cherish my UV-5RA+ but would like to add to my collection with a UV-B6 or two and a few BF-888S handhelds once circumstances and finances permit. However, it’s worth noting the caveats given about these radios in the various reviews on this site.